It's nice to have windows. In a more utilitarian sense, it's nice to have shelves. 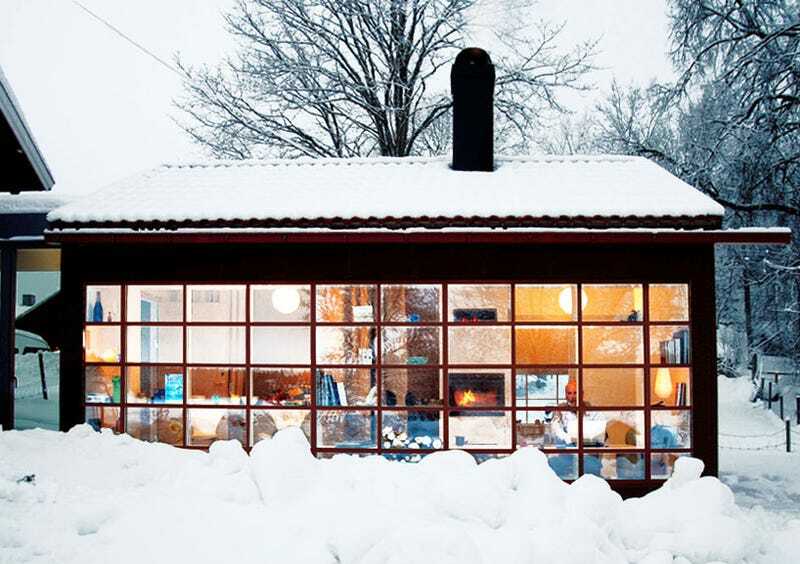 The architects of this house in the Swedish countryside figured out how to have both on the same wall to great effect. Spröjs House, an extension of a Swedish home designed by Visiondivision, has space for a master bedroom, a breakfast area and storage. Some of that storage comes in the form of shelves which divide a windowed wall into a neat grid.